From time to time people ask me (and I ask myself) why I decided to work in agriculture. The answer is very easy: I never imagined doing anything else. I was born into a family that has always been in connection with the land, its satisfactions and its worries. Our estate, that we still manage directly, was purchased by my family in the late 19th century. Sowable land and ancient olive trees marked this landscape until the mid 1970s, when my father began, with great effort and a lot of sacrifice, to turn the old family property into a modern agricultural farm, by transforming part of the cultivations into citrus orchards and rationalizing and modernizing the olive groves. In 2001 the transformation was completed when we finally installed a modern company press, closing the circle we had opened a few decades before; now we directly produce, process and market the fruit of our work, closely monitoring all the stages in the process. 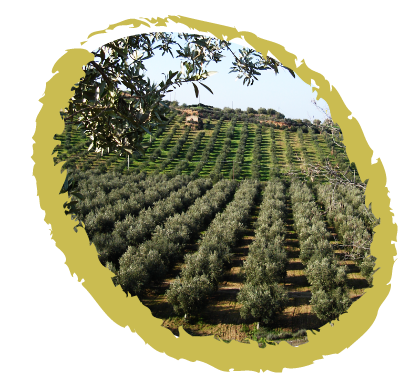 Currently the farm is divided into two areas, both in Corigliano but with different positions and exposures: Cucuzzone 28 hectares, in the lower part of the hill where tangerines, navel oranges and carolea and frantoio olives are grown. Masseria Caruso 15 hectares, near the Jonio sea, producing tangerines and biancolilla, frantoio, leccino, coratina and cima di Bitonto olives. The cultivations are all grown according to organic agriculture and integrated pest control protocols, thus protecting the surrounding environment and investing to spare water resources and preserve the region and the landscape.